A rousing, suspenseful debut novel True Grit meets Catch Me If You Can based on the forgotten true story of a Robin Hood of the American frontier who pulls off the first successful kidnapping for ransom in U.S. history. Once the most wanted man in America, Pat Crowe is a forgotten folk hero who captivated the nation as an outlaw for economic justice. World, Chase Me Down resurrects him, telling the electrifying story of the first great crime of the last century: how in 1900 the out-of-work former butcher kidnapped the teenage son of Omaha's wealthiest meatpacking tycoon for a ransom of $25,000 in gold, and then burgled, safe-cracked, and bond-jumped his way across the country and beyond, inciting a manhunt that was dubbed the thrill of the nation and a showdown in the court of public opinion between the haves and have-nots all the while plotting a return to the woman he never stopped loving. 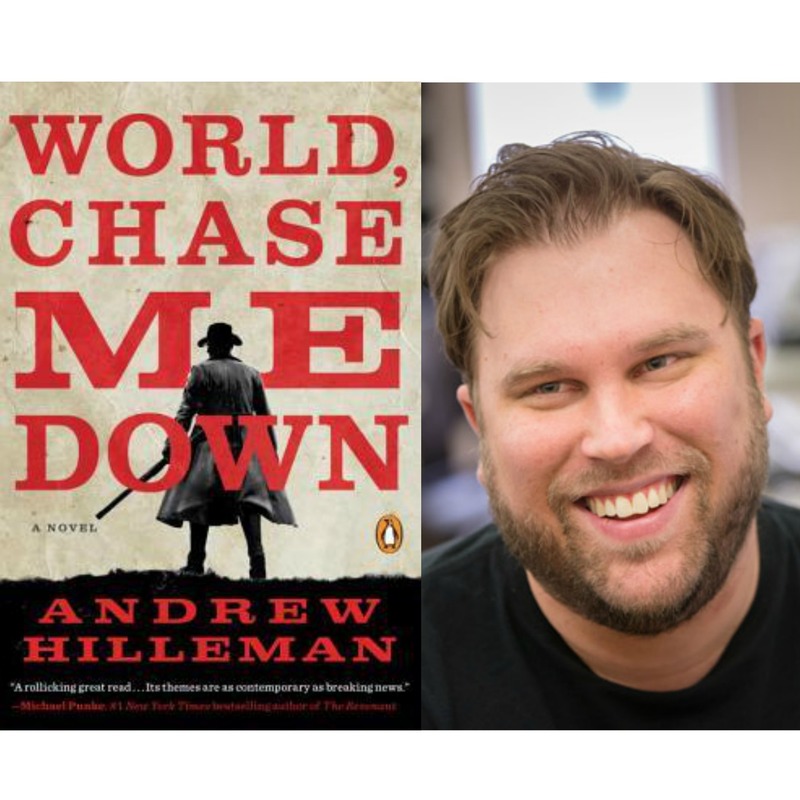 As if channeling Mark Twain and Charles Portis, Andrew Hilleman has given us a character who is bawdy and soulful, grizzled, salty, and hard-drinking, and with a voice as unforgettable as that of Lucy Marsden in Alan Gurganus's Oldest Living Confederate Widow Tells All an anti-hero you can't help rooting for.